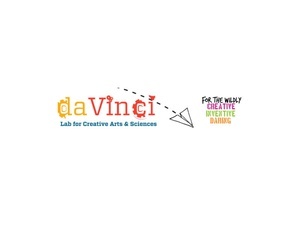 The da Vinci Lab for Creative Arts and Sciences is an after-school makerspace for students currently enrolled in grades 4 through 9, providing the opportunity for students to learn how to operate design software and equipment, including a 3-D printer and laser cutter. Everyday students take what they’ve learned in the classroom and use it to imagine, design and create amazing products and works of art. When: Monday - Friday: 5 day, 3 day, and 2 day a week options available. This program is specifically designed for those students interested in pursuing their own interest and ideas in STEAM as well as collaborating with others. Students will have the opportunity to experience intelligent failure as they work through their own creative process gently guided by a staff member. Registration: A registration fee of $50 is due annually each year in August for the lab. This one time registration covers the whole year. Each student will receive a da Vinci lab t-shirt as part of registration.